Firefly Resort it perfectly located for a golfing getaway. The golf courses here have been named some of the best in the Midwest! New Buffalo offers Whittaker Woods Golf Club, an 18-hole championship course. Its Clubhouse is just as stunning as its amazing course. Check them out online to book a tee time or take advantage of their online specials. Just west of Whittaker Woods is Grand Beach Municipal Golf Course, a 9-hole course in Grand Beach. Tee times are not required here so it’s perfect for those last-minute getaways. Further north is Pebblewood Golf Course, a beautiful 18-hole course in Bridgman, and Meadows Family Golf Center, a 9-hole course in Baroda. On the outskirts of Harbor Country, in Benton Harbor, is Harbor Shores, an 18-hole Jack Nicklaus Signature Golf Course with diverse terrain challenges and incredible views of Lake Michigan. So start making your plans — it’s time to tee off in Harbor Country! 1. Play in the sand: Nothing says summer like heading to the beach. Firefly Resort is in the perfect location for beach fun! Many nearby towns have public beaches to choose from but you can also head to Firefly Resort’s private beach, just a few steps away from our cozy cottages. 2. Be active: Whether you go for bird watching or hiking trails, there are plenty of state parks and nature preserves in Harbor Country. For hiking, head to Chikaming Nature Preserve and Park or Warren Woods Forest Preserve. Excellent bird watching (and more!) can be found at Grand Mere State Park and Warren Dunes State Park. 3. Celebrate with the town: There are many festivals in Harbor Country every summer! 4. 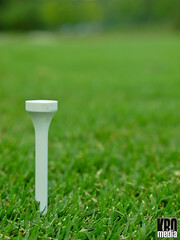 Book a tee time: Spend a day on the golf greens! Tee off at Briar Leaf Golf Club, Pebblewood Country Club or Whittaker Woods Golf Course. 5. Paddle Away: Whether you prefer canoes or kayaks, Harbor County has you covered with many boat rentals. There’s nothing like spending the afternoon on the water! What are your favorite summer activities in Harbor Country? You are currently browsing the FireFly Resort blog archives for July, 2011.